Having coached at a senior level for 16 years including 3 years on the coaching staff of an NRL club Mr.G (aka Gerard Condon) is an avid student of the game. He’s coached sides to win titles at a senior level, run the football arm of a successful district club, managed professional NRL players and worked in various development roles, so it’s fair to say the game of Rugby League is certainly in his blood and supports an experienced and unique offering. 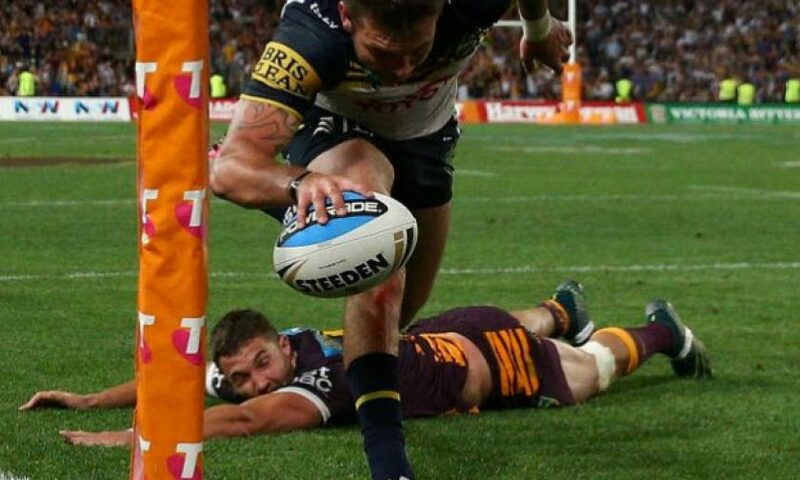 Mr.G now provides our subscribers with his NRL tips game previews and recommended NRL sports betting tips. 2019 NRL - What a start to the season! MrG has started 2019 Season with a big bang! Longer term I am with the Melbourne Storm as the likely Premiership winner (currently $8.00) who once again tick so many boxes – outstanding win record at home, best defensive record last season (and most yrs defensively in the top 2 to 3 sides), experience (defeated grand finalists last year) and clearly the class and quality of Bellamy, Smith, Cronk, Bromwich and Slater if he comes up ok off his injury out. If I run my current forecast ratings through a simulation of every NRL game across the season I have them sitting top 2 into the finals, which then presents them with a week 1 home semi final (and should they then win that a home final) – a healthy position into a finals series. When looking to bet longer term I want to find prices that are now likely to be far higher than any time into the season and given how I expect the Storm’s season will start baring significant key injury I expect $8 should be the top of the market. Personally I have had and am recommending a 2 unit bet on the Storm this week. Mr.G’s NRL tips betting plays and previews combine his knowledge and ‘read’ of the current weekly form with a statistical and betting analysis to provide his followers with a unique and successful approach. He spends hours each week watching and reviewing each and every game assessing the strengths and weakness of the form to then weigh against that of the NRL betting markets. His previews and betting tips have been published on the internet via two sports forums for 7 years prior to his public offering through Reading The Play. Mr.G can also be heard on Talkin Sport each week across the 2sm and Super Radio network providing his opinion on all things rugby league (Monday’s, Thursday’s and Friday’s at 5.10pm Sydney time). If you like your NRL and sports betting then you are at the right place. Published on February 5, 2016 in NRL. Published on 22nd June 2016. Published on 12th March 2015. Published on 18th July 2016.